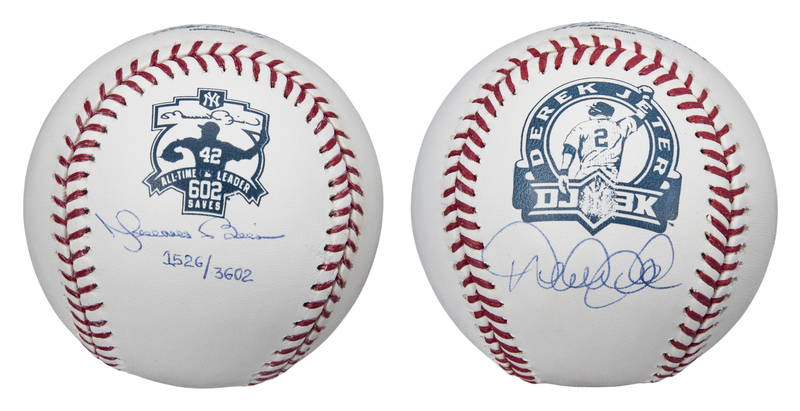 Offered here are two Official Major League Allan H. Selig baseballs signed by a pair of future New York Yankees Hall of Famers. The first ball has been signed by Derek Jeter in blue pen. 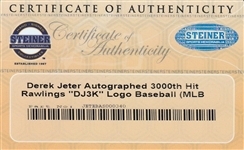 Jeter has signed the west panel of this baseball below a “DJ 3k” logo. 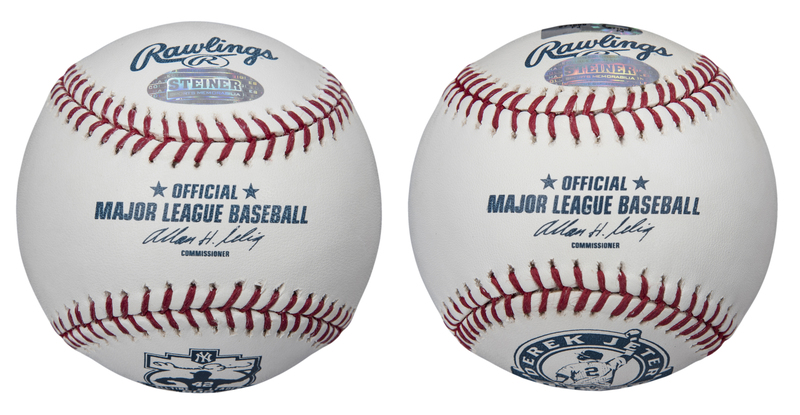 This baseball comes with a COA from Steiner Sports and a MLB Authenticated hologram (FJ 671599). The second baseball has been signed by Mariano Rivera in blue pen. Rivera has signed the west panel, below a “All-Time Saves Leader” logo. 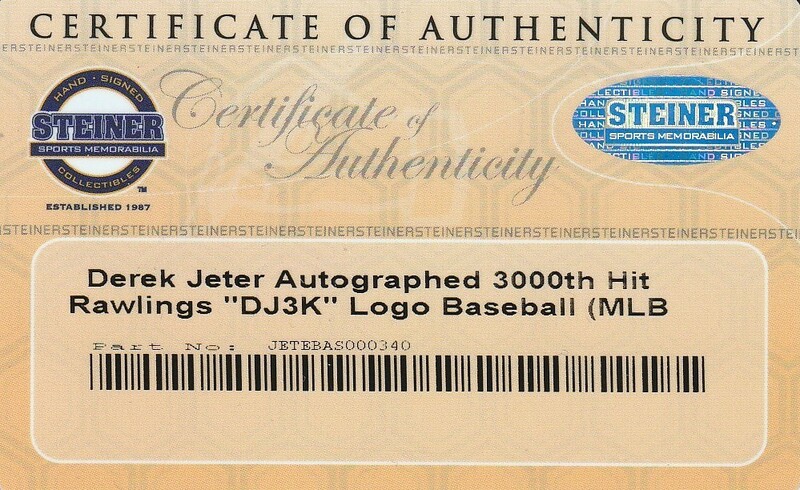 This baseball is a limited edition 1,526 of 3,602 and it is accompanied by a Steiner Sports hologram.